Using 1.4 inch AMOLED round screen with HD 400 * 400 px resolution at 287 DPI, with OLED display , which further exaggerate it\'s quality and beauty. * Bluetooth Functions: Call (only for Android), Message, Pair Bluetooth to listen to music. Call Uber;" OK Google " hotword;Tilt to wake screen, drop to dim the screen; SMS reply with voice. 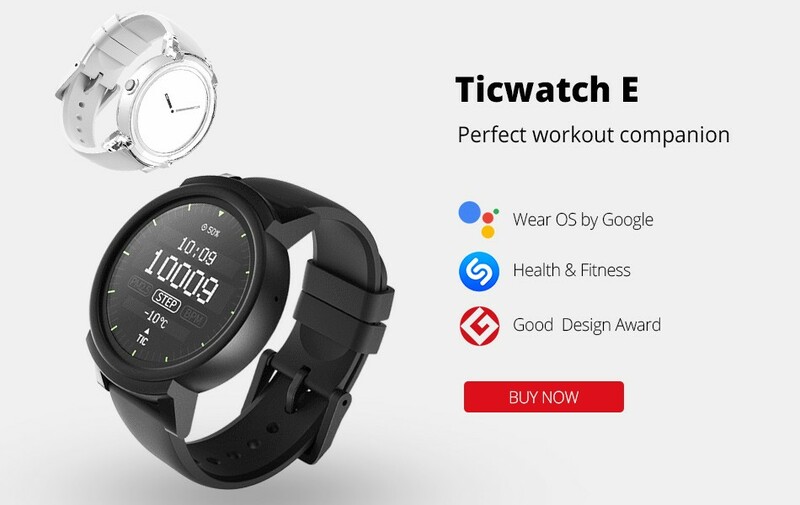 Besides managing calls and messages, Ticwatch E empower your active lifestyle with the convenience of Google Assistant, fitness apps like Google Fit, and the powerful ecosystem of Google Play. Google Play brings you apps that enable sleep monitoring, music detection, multi-language support, and much more. 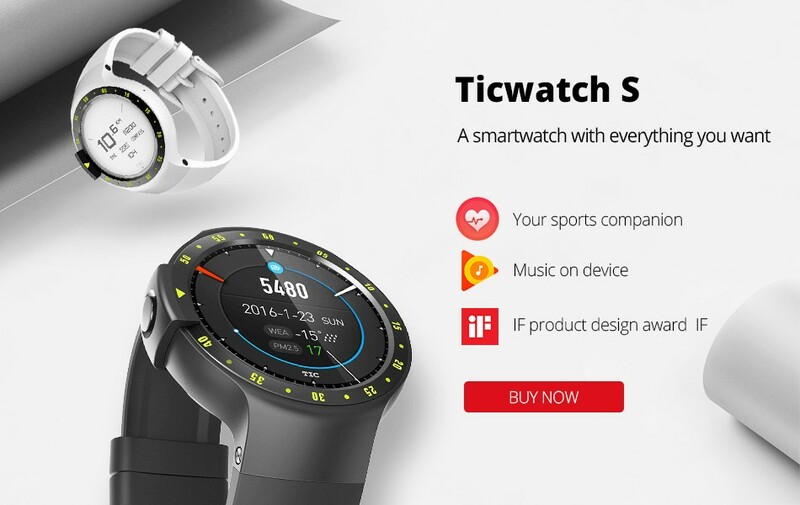 The possibilities are endless with your Ticwatch E.
Ticwatch E track your heart rate and steps, calculate calories burned, measure nutrition intake and manage your workout schedule. 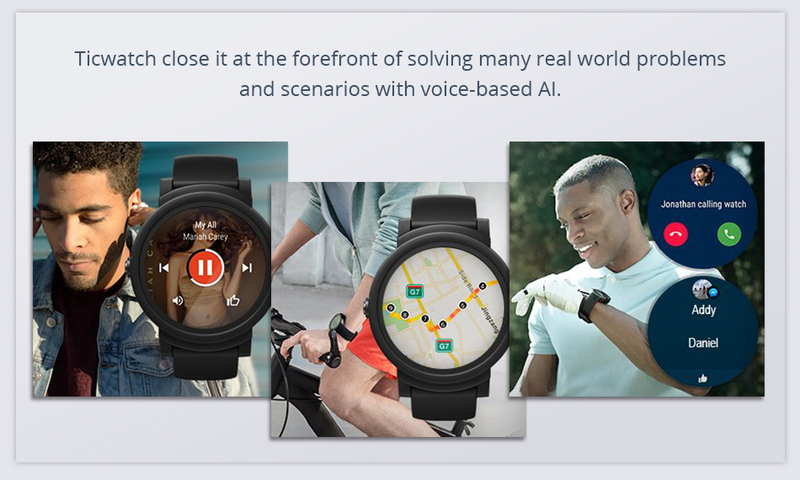 Ticwatch E also enable you to map your workout route with an improved built-in GPS, listen to your favorite music, and track your performance hands-free. 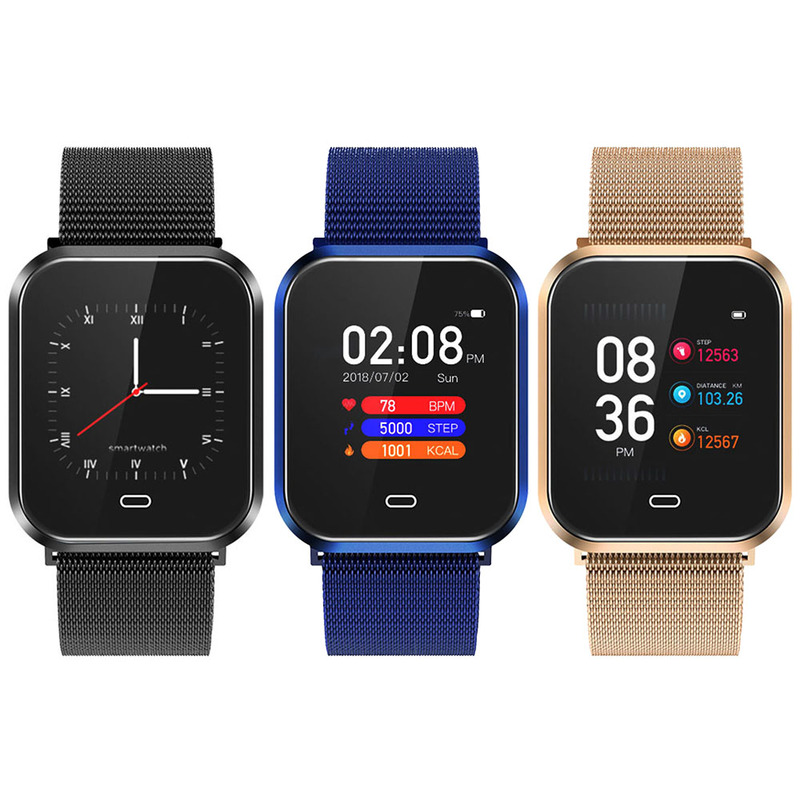 Features Heart-rate monitor,Proximity sensor,Accelerometer,Gyroscope,GPS, Mic & Speaker, etc. Waterproofing IP67 Waterproof, please do not dip into the water for a long time. 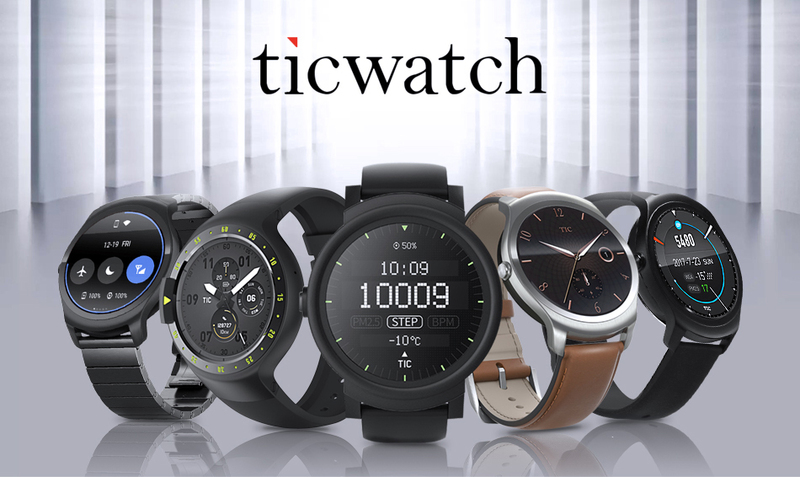 Android Wear doesn\'t support wechat/whatsapp/fb messenger on iOS. It supports fb messenger on Android devices, not supporting whatsapp. For wechat supporting, you need to install wechat app on your phone firstly. Android phone can pick up and make phone calls.iOS doesn\'t support. In general, we choose Post Method like "AliExpress Standard Shipping". Shipping to some countries such as the United States, Germany, France, the United Kingdom, Spain, Italy, etc, we can use DHL. Clearance is the obligation of buyer, please timely clearance. We are not responsible for delays caused by the customs, import duties, taxes or other customs charges. Within 1 years after receipt of the goods, the product appears any non-human factors of quality problems, we accept the return and repair, the shipping fee of return borne by the buyer. Before returning goods, please contact us to explain the specific problem and confirm the return address. When you send the goods, please tell us the tracking number. It takes a long processing time to return for repairs, please wait patiently. If any problems, please feel free to contact me. If you are satisfied with our products and services, please leave us a 5 stars rating. Your support is our driving force, we will work harder and continue to improve. Thank you so much! 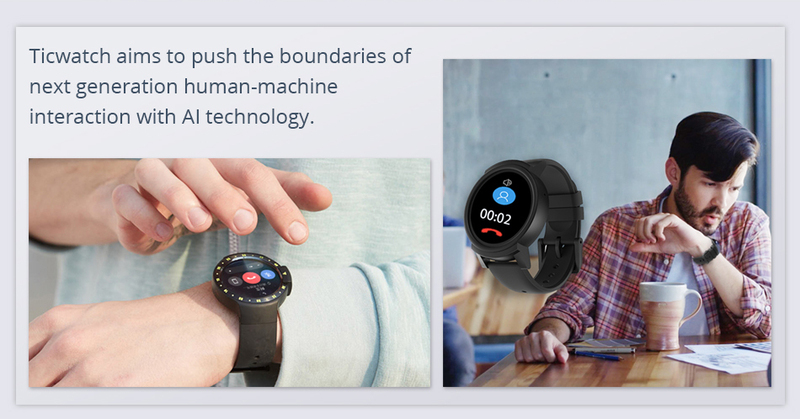 Ticwatch is a wearable device for the successful landing of Mobvoi Artificial Intelligence technology, equipped with independent research and development of Ticwatch operating system. 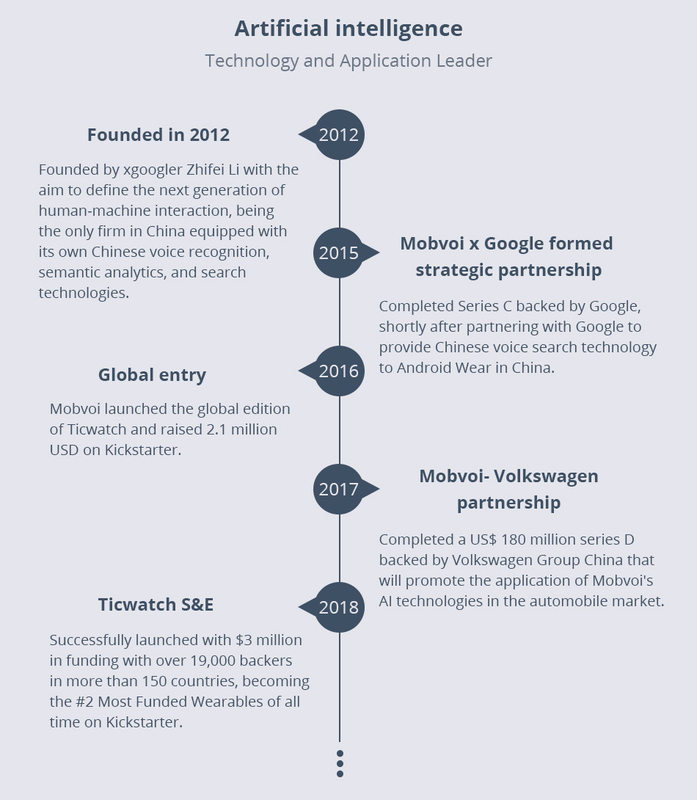 It is an artificial intelligence company with autonomous voice recognition, voice analysis, and vertical search technology. It has been trying to artificial intelligence technology to the consumer products, define the next generation of human-computer interaction.